Do you miss Real Meatballs? The Tender Juicy Ones Grandma Used to Make? 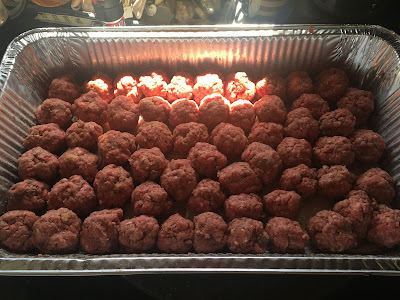 Five Pounds of Meatballs Ready to Grill! Most modern meatballs are like rubber and have even less flavor from over processing. Wish you could Cook Like Grandma? Lots of things Grandma cooked were easy to make and more wholesome than today's overly prepared foods. 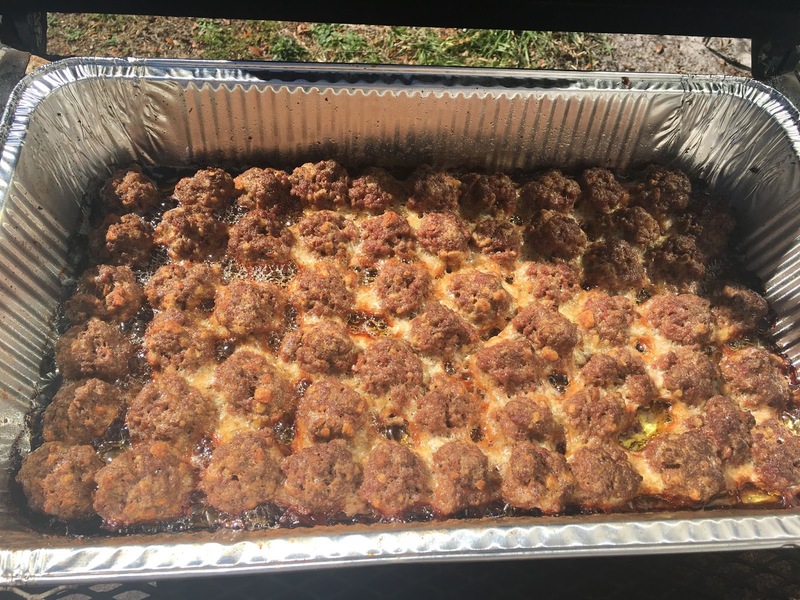 If you make Meatballs the way my Grandmother taught me you can make 5 lbs at a time and freeze them for later and making other dishes. I promise they will always taste better than any meatballs you could buy, even if frozen for months, (ha! Not with my Man!). Today's game was great and we cooked my famous Super Simple Super Bowl Meatballs for a Hungry Crowd, first on the grill, then we popped it in the crock pot with barbecue sauce. These are so wonderful because they can be cooked with so many different sauces once the meatballs are made. 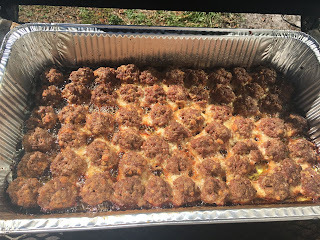 I've made a video showing you how simple ad easy Grandma's way of making perfect meatballs was, and once you try their melt in the mouth, full flavor you'll never eat anyone else's meatballs again. Not even in a restaurant. 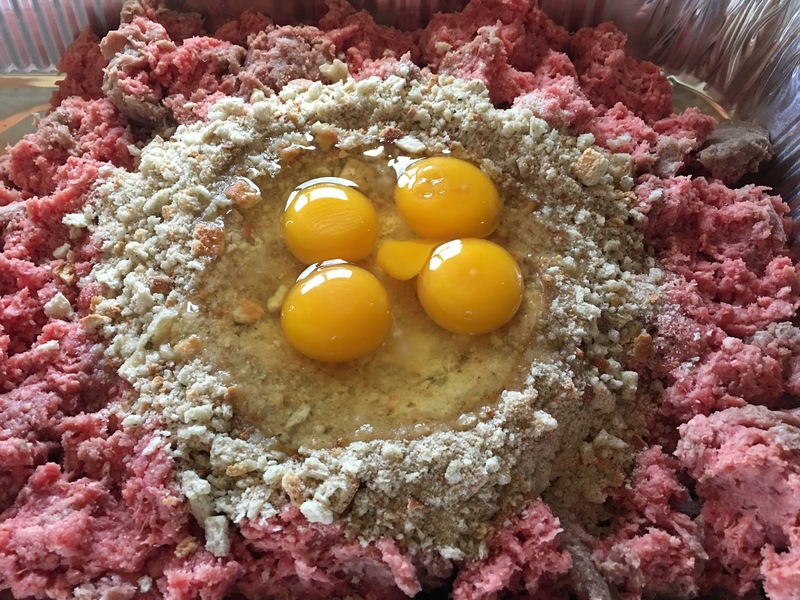 You see, back then, Grandma understood meat and how it worked. She handled it from butchering until served at the table. She knew that handling makes tough meat. Mixing fillers and seasonings was a challenge because the more you mix it, the tougher the meat "dough" becomes. Handled too long your meatballs become sodden rocks and your meatloaf a handy doorstop. A few simple tricks and I'll have you making flavorful meatballs for any occasion, from weddings to Super Bowl Parties. You'll b making 5lbs at a time so you'll have enough to economically feed many hungry people on a budget and maybe freeze a few later for yourself.